Social prescribing, sometimes referred to as community referral, is a means of enabling GPs, nurses and other primary care professionals to refer people to a range of local, non-clinical services. It is an option for people who are experiencing social exclusion or isolation for a variety of reasons or who have poor social supports. There is clear evidence of the inextricable relationships between physical health, mental wellbeing and social interaction. Social prescribing expands the range of options available to health professionals and service users in order to address needs that cannot be met by a health service response alone. Healthcare professionals want a structured approach to help their clients’ access quality community projects and resources. There are community projects available which are endorsed and funded by a number of state agencies, which comply with a wide range of reporting, quality and performance systems. Social Prescribing: what can it contribute to health and wellbeing? A bibliography of some of the most recent research, case studies, evidence of effectiveness and ongoing debates about social prescribing. The focus is on papers published in the last five years. It can be accessed here. Lynne is a freelance researcher with a special interest in the complex relationship between mental health and social justice. She has a long standing commitment to public mental health, to addressing the wider social determinants of mental health and to strengthening the evidence base for social responses to mental distress, for example social prescribing. Lynne is also interested in the politics of ‘assets based approaches’ (notably in Scotland), and has just completed research on the use of psychology in workfare and other employment programmes, as part of a two year residency with Hubbub at the Wellcome Collection, exploring the dynamics of rest, noise, tumult, activity and work in modern life. Her work included reflections on the lived experience of unpaid labour and the welfare system, in partnership with Nina Garthwaite and residents of a hostel for homeless men. Lynne’s research features in a short documentary on workfare produced by WellRedFilms. She wrote Mental health, resilience and inequality for WHO Europe, contributed to the WHO Europe Strategy on Mental Health and their report on the Social Determinants of Mental Health. Lynne is a fellow of the Centre for Welfare Reform. Emma has been working on community development and health equality initiatives in Waterford since 1997, and currently works as Traveller Community Health Project Co-ordinator for Waterford Traveller CDP. In 2016 she conducted a study on behalf of Waterford Community Health Network, exploring attitudes to Social Prescribing amongst health care professionals and community workers in the city, as part of a UCC Masters in Social Science. Carmel Gallagher currently works for Inishowen Development Partnership as a part time Social Prescribing Co-ordinator covering Buncrana, Carndonagh, Clonmany and Malin Head. Carmel has a degree in Occupational Psychology from the University of Ulster and a Post Graduate Diploma in Careers Guidance also from the University of Ulster. She has worked as a Guidance counsellor for over 20 years in Durham (England)and Omagh/Derry/Strabane in the North of Ireland. She has also worked for the Royal National Institute of Blind People (RNIB) for 4 years as an Employment Officer before taking up position as a Project Co-ordinator for a Small Charity AFASIC – working to support parents and children with communication difficulties. She has been working as a Social Prescribing co-ordinator for almost 2 years. Susan was appointed Primary Care Lead for Waterford in 2012. She was responsible for setting up 13 Primary Care Teams (PCTs), serving 130,000 people in the city and county of Waterford and South Kilkenny. 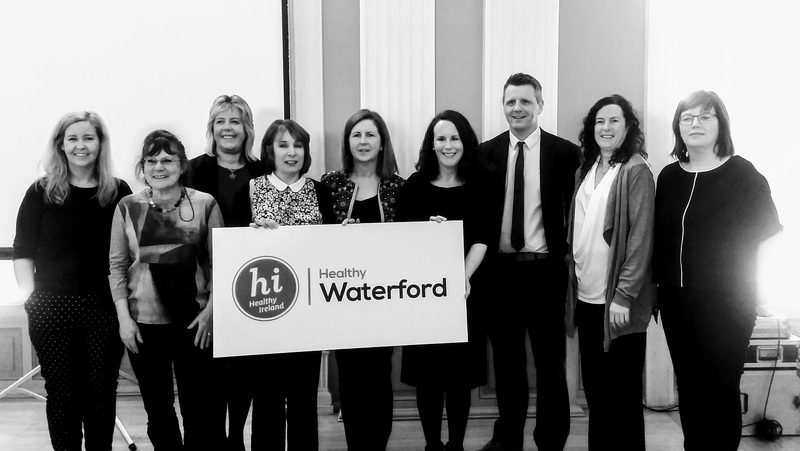 As a member of the Healthy Waterford Steering Committee Susan has been instrumental in delivering actions around health literacy in the primary care setting including the recently launched Primary Care Patient Information Leaflet in ‘Plain English’. Susan’s background is in nursing and she has worked in general nursing, paediatrics, community nursing and as a liaison nurse in University Hospital Waterford. Her post graduate training is in management, nursing models, health promotion and critical incident stress management. Fergal has worked in Health Promotion since 2002 with an initial assignment targeting Traveller men, he went on in 2003 to coordinate Traveller health for the midlands region until taking over as Health Promotion Manager for Dublin Mid-Leinster in 2011. Prior to working within the health services Fergal worked in the area of educational disadvantage in both primary, post primary and residential care settings before moving into working in the area of drug and offender rehabilitation. He has a Masters in Health Promotion from NUIG and is also a qualified Post Primary Teacher. Within the HSE Health Promotion Department currently he has lead responsibility for Staff Health and Wellbeing and Wellbeing and Mental Health.